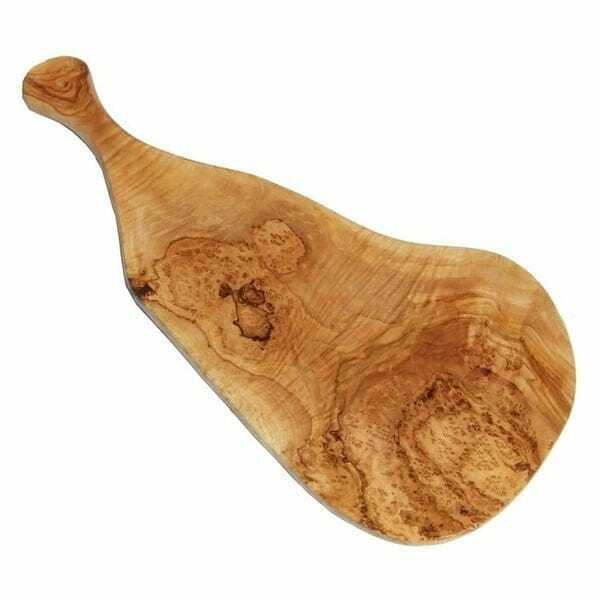 A beautiful olive wood wooden chopping or cheese board - this will definately impress guests! Patterned by the natural grain of the olive wood these boards are beautiful as well as durable. This board measures 38cm in total length and is approximately 2cm thick.